On paper, Observer sounds like it would be my game of the year. It’s a slow boil, tech-noir cyberpunk detective game with a deep, winding plot that stars Rutger Hauer as a cop who can jack into people’s brains. That Sean Colleli catnip. 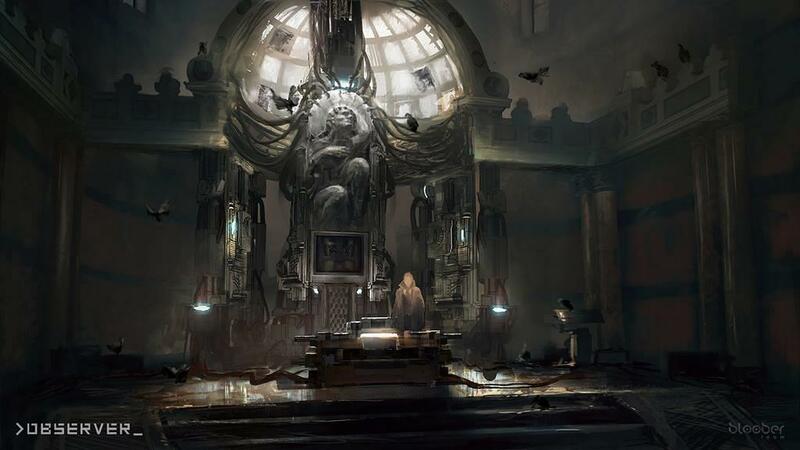 And to be fair, Polish developer Bloober Team is not lacking in ambition; after starting on the DSi eShop of all places and graduating to the underrated horror title Layers of Fear, it feels like Observer is the studio’s passion project that they’ve been building up to for years. They’ve thrown their all into Observer, but I admit that I had a hard time getting into this one. Is a game “bad” if I’m just not feeling it? Of course not, but it doesn’t change the fact that Observer was a tough nut for me to crack. Observer’s plot hooked me instantly. It’s introduced by a very Blade Runner-esque title scroll, narrated by Rutger Hauer. After a devastating third world war and the rise of a horrific nanotech plague called the Nanophage, humanity is on its last legs. The corrupt Chiron Corporation seized power and turned Europe into what is essentially 1984’s Oceania. The majority of citizens live in cramped, squalid apartment blocks. Nearly everyone is cybernetically augmented just to get by. The game is set almost entirely in one of these tenements, located in post-apocalyptic Poland. The protagonist is Daniel Lazarski, a special police officer who works for Chiron. He’s an Observer, a cop who can extract information from suspects by jacking directly into their minds via a cybernetic implant. This allows him to forcibly explore the subconscious thoughts of his targets, even the dying and recently deceased. As the game begins, Daniel receives a cryptic transmission from his long-estranged son. Daniel travels to the apartment complex his son had been living in, but almost as soon as Daniel enters the complex, the building goes into an unexplained lockdown, trapping him inside with the tenants. 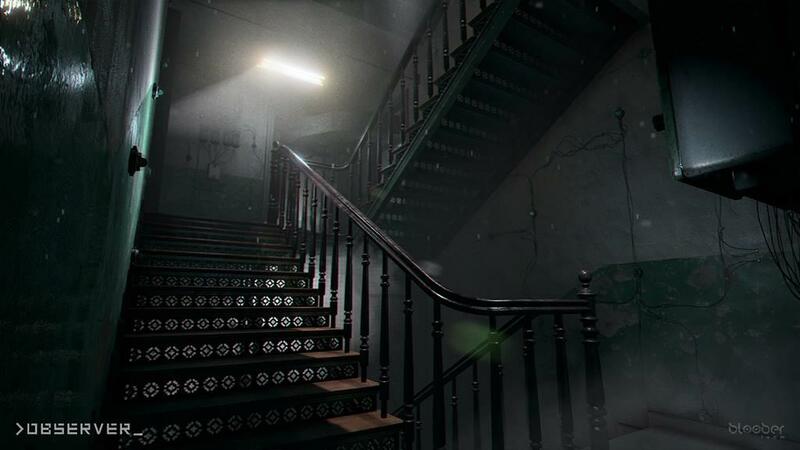 Daniel must solve a series of murders and the other mysteries of this dilapidated tenement, in order to determine if his son is still alive and ultimately to escape. If anything, Bloober Team does a hell of a job establishing a setting and atmosphere. 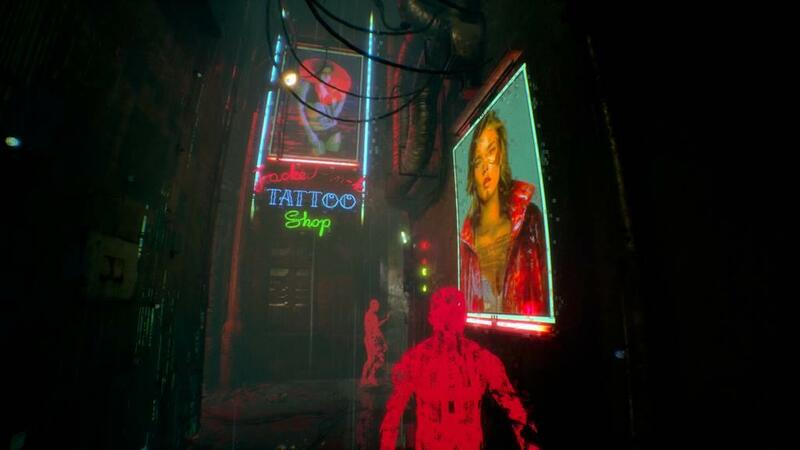 The rain-drenched courtyard, the kipple-cluttered corridors, the neon holograms…all of it is clearly inspired by Blade Runner but that doesn’t diminish how well it’s pulled off here. It extends beyond the physical appearance as well. Most of the tenants stay cooped up in their tiny apartments, blitzed out on a drug called “feed” and wired into their VR rigs for any scrap of escapism from their grim existences. They aren’t shy in expressing how much they hate and/or fear Lazarski; he’s literally the incarnation of The Company, come to rifle through their innermost secrets and thoughts. The complex’s property manager is a sad remnant of a man, a veteran of the war whose body and mind are half-replaced with obsolete implants. Observer’s world has a very clear sense of place. Investigation is your typical detective game fare. You’ll come across a crime scene—usually a grisly murder—and you must examine it for evidence. There are two flavors of evidence, tech and organic, and Daniel has two corresponding vision modes for detecting each. As you might expect it’s important to really pore over every crime scene at length. You must turn pieces of evidence over in your hands; for example, flipping a murdered drug dealer’s pill bottle around will tell you which apartments he’s been dealing to, leading you to the next link in the evidence chain. Getting that crucial piece of evidence leads you to explore more of the tenement and interrogate its reclusive, uncooperative residents. Of course the most important piece of evidence is a suspect’s mind, and you’ll usually conclude an investigation by jacking into their gray matter. For lack of a better word, this is where Observer gets really freaking weird. Each suspect’s mind plays out in a series of fairly linear dream sequences. These sequences represent their overall life experience, their hopes and fears as it were, and ultimately their demise if they are dying or dead. These dreams are incredibly surreal, nauseatingly so, and rife with symbolism and rapid-fire horror imagery. You’ll often find yourself racing through a suspect’s subconscious as they flee their deepest terrors, navigating the mazelike cubicle corridors of their miserable job at Chiron, or enduring their dehumanizing prison sentence in a series of flashbacks. I have to hand it to Bloober Team, constructing just one of these highly abstract sequences must have been an ordeal, but to fill a game with them is a huge accomplishment. That said, they just aren’t that fun to play through. They are so abstract and obscure that I often got lost just trying to find the way forward. I’m ashamed to admit I consulted an FAQ on a few occasions to figure out just what I was supposed to do in a particularly over-sensitizing fever dream. The game’s interface, which highlights interactive objects with tiny white squares, is clunky and doesn’t tag important objects until you’re almost right on top of them. When tentacles are bursting from the kitchen sink, dirty laundry is falling from the ceiling and a computer monitor baby is screaming in the background, it can be difficult to zero in on the “game” aspect of these scenes. These observation are the meat of the game and you usually can’t skip over them; dragging your way to the end of a suspect’s life arc gives Daniel that “aha!” insight into where the investigation goes next. It’s a brilliant concept, but the sequences themselves overstay their welcome and were awkward and uncomfortable for me to get through. I understand that intense discomfort is what the developers were going for and I definitely appreciate how they pulled it off, but in a game that’s already so bleak, these trips through grief-haunted minds usually left me with cold sweats. What you do with these experiences ultimately has a huge impact on Observer’s story. I don’t want to spoil anything because so much of this game’s value is wrapped up in its labyrinthine story, but there are a number of difficult choices that Daniel faces based off what he learns in each suspect’s compiled subconscious. These decisions impact the game’s ending in some pretty heavy ways; what seems like the moral decision early on in the game can have unsettling, long-reaching implications that you never see coming. Bloober Team clearly intended for Observer to be a game you play through more than once. And this is my dilemma. Observer is a beautifully crafted experience. Its world is expertly realized. Its story, though desolate, is one of the more compelling pieces of dystopian fiction I’ve experienced in years. Rutger Hauer turns in a delightfully world-weary and sardonic performance as Detective Lazarski. It just wasn’t that fun for me to play through as a game. Navigating the claustrophobic corridors was awkward; I rarely had a good sense of what dialogue options to choose when interrogating a suspect; hunting for keycodes to crack the locked doors that stood in my way was a tiresome chore. I often found myself drained and a bit sick to my stomach after a session with Observer. It didn’t grab me and steal hours of my life the way Deus Ex or System Shock or Alien Isolation did. 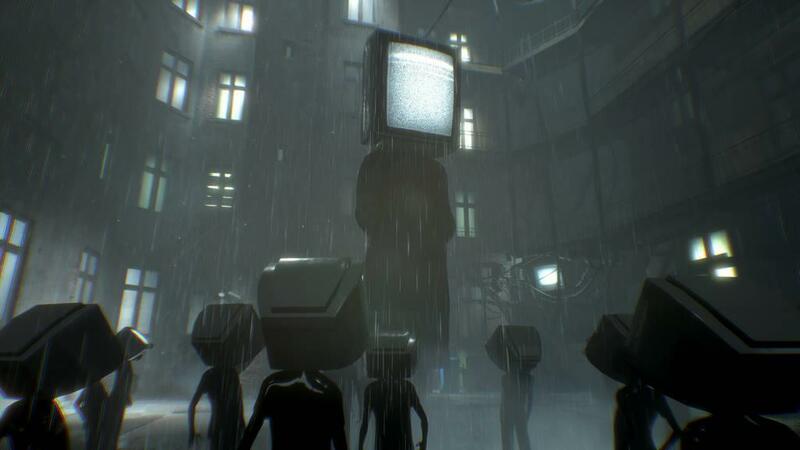 Observer is a potent, surrealist trip into the minds of the tortured, and the exploration of the reluctant man who invades those minds, as their torment begins to unravel his own sanity. It is not a pleasant experience; you get no indication that Daniel will receive any kind of catharsis or closure at the end of his journey. And as much as I didn’t exactly enjoy Observer, I do think this kind of game is important. Not all games should be trivially easy and overly welcoming. Some games should be difficult. Some games should be obtuse and obscure; they should pull no punches, and demand that the gamer put in some effort to enter their world. Some games should make us squirm in our seats. 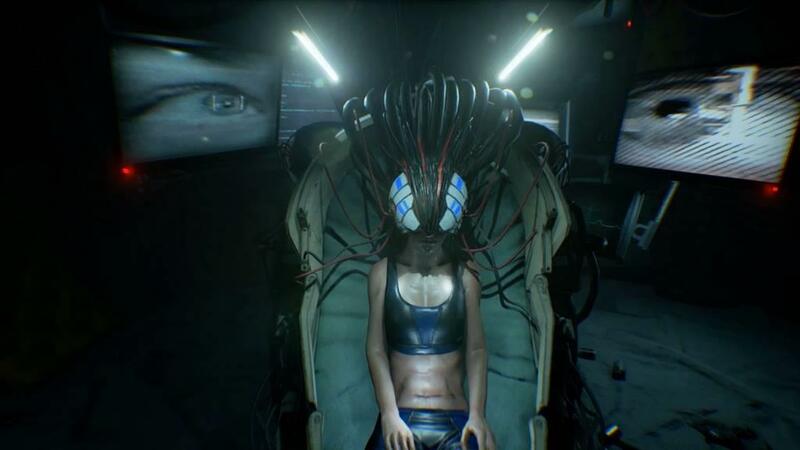 So while I can’t recommend Observer as an intuitive, addictive experience that sucked me in and wouldn’t let go, I can recommend it as a challenging, often uncomfortable, uncompromising piece of art. Bloober Team cut no corners when it came to their vision. 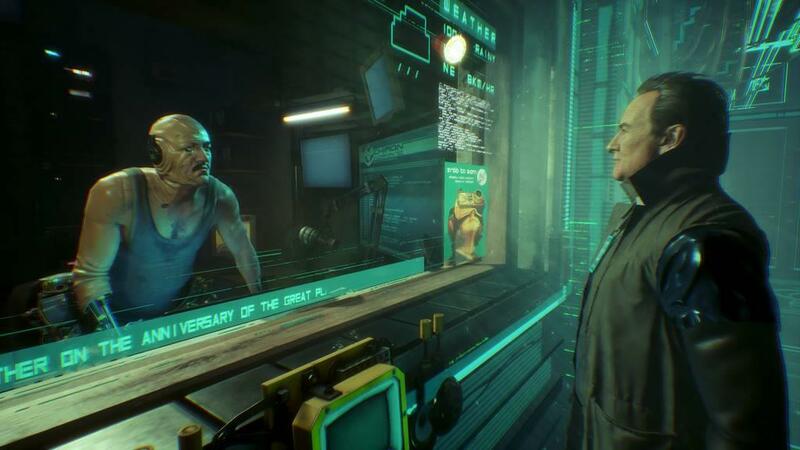 Observer isn’t the easiest game to get into and its gameplay can be obscure and frustrating at times, but you won’t soon forget its dank, filthy corners and the unpleasant implications that lurk within. Observer is a tad clunky as a straight detective game but its story, setting and mind-diving conceit make it much more than that. It’s gorgeously depressing, uncomfortable in a number of ways, and you won’t be able to shake it from your own thoughts for some time.